Grant, filled with confidence, got down on his knees and proposed the lady. “Where’s that ring? Because I think if you’re up here we should make it official,” she added. “Before you do it, do you know how to propose to somebody? Can you get down on one knee with me? 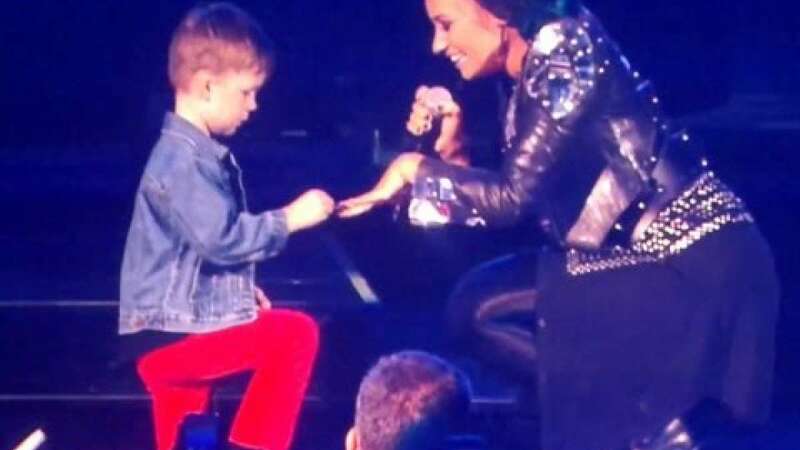 Now will you ask me, ‘Demi, will you marry me?’” Lovato continued.